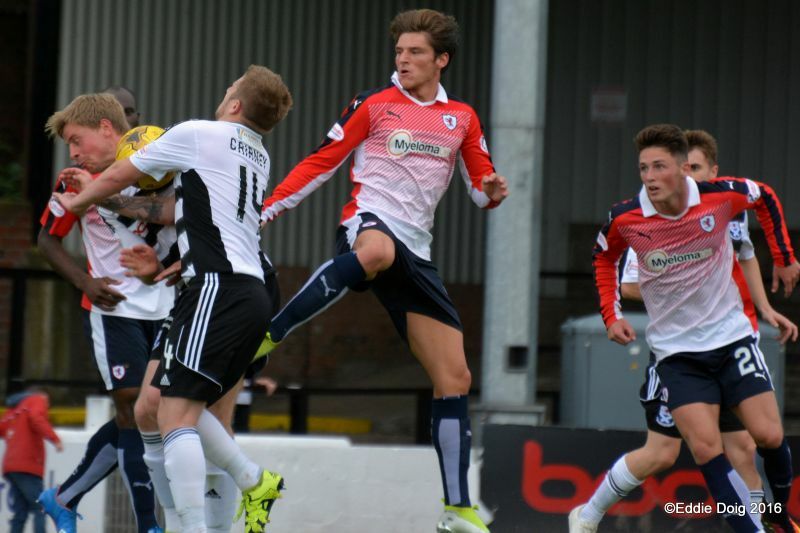 Raith Rovers made a winning start to their Championship campaign this afternoon, after goals from Ross Callachan and Ross Matthews sealed a 2-0 win over Ayr United at Somerset Park. 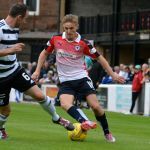 Manager Gary Locke made two changes from the side which disappointingly went down to Alloa in the previous weekend’s League Cup encounter. 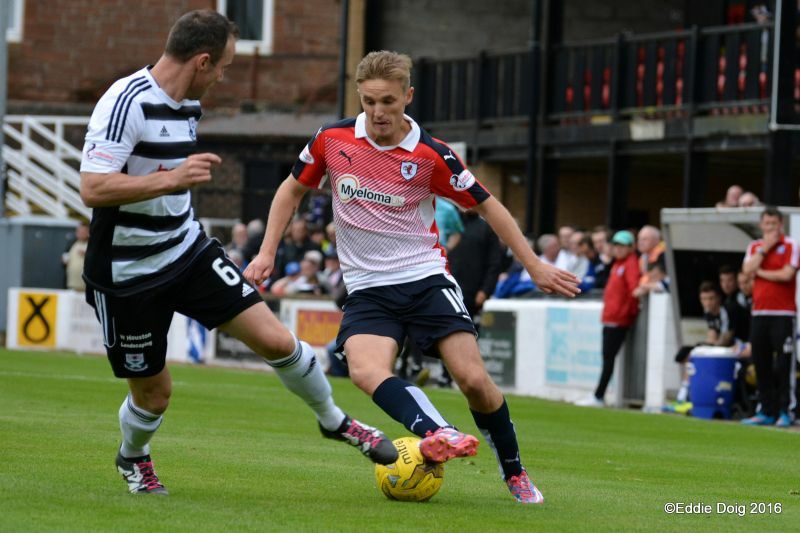 Out went Iain Davidson who missed out through injury, while Chris Johnston dropped to the bench. 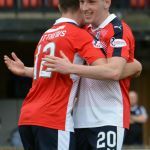 In came Ross Matthews who started on the right, just as he did at Dingwall, while new Rangers loanee, Jordan Thomson made his debut in the middle of the park. 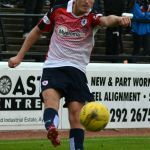 There was some confusion before the game around the identity of a Mark Siguali who was listed as a substitute on the team-sheet, although after closer investigation it was revealed that someone had taken a somewhat unusual approach to spelling Mark Stewart. 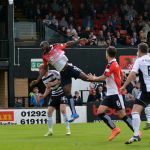 Last week’s Rovers performance had drawn some criticism concerning the lack of chances the team created, but they could easily have opened the scoring in the first minute of this encounter. 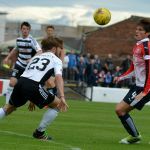 Kevin McHattie’s in-swinging set-piece from the right looked just right for Kyle Benedictus to nod home, but he failed to get any purchase into his effort, which was easily gathered by Greig Fleming. 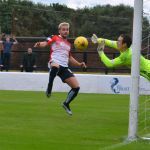 It was a ding-dong start to the match, and Ayr almost grabbed the opener two minutes later, when Alan Forrest picked up possession wide on the left, shaping inside and curling an effort just past Kevin Cuthbert’s left-hand post. 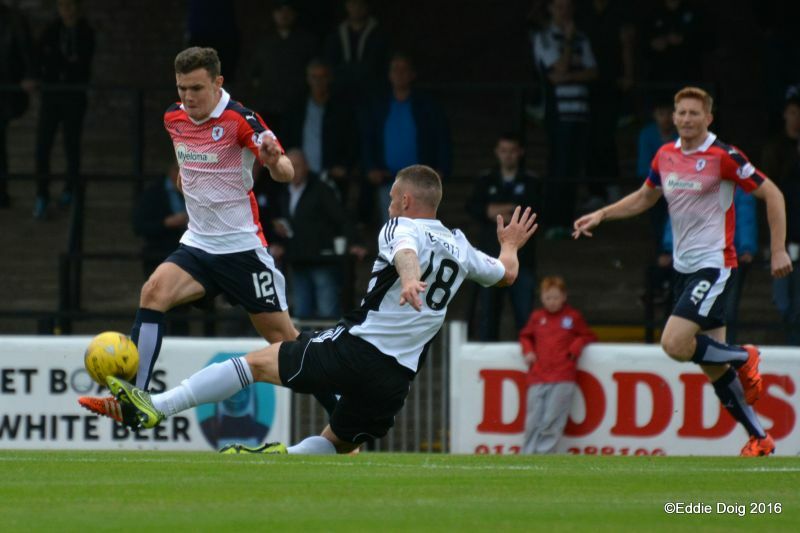 Both sides were pushing forward in a lively and entertaining opening, but former Stranraer midfielder Paul Cairney really should have done better after quarter-of-an-hour, when, similarly to Benedictus’ effort, his header from a Paddy Boyle cross was sent too close to Cuthbert. 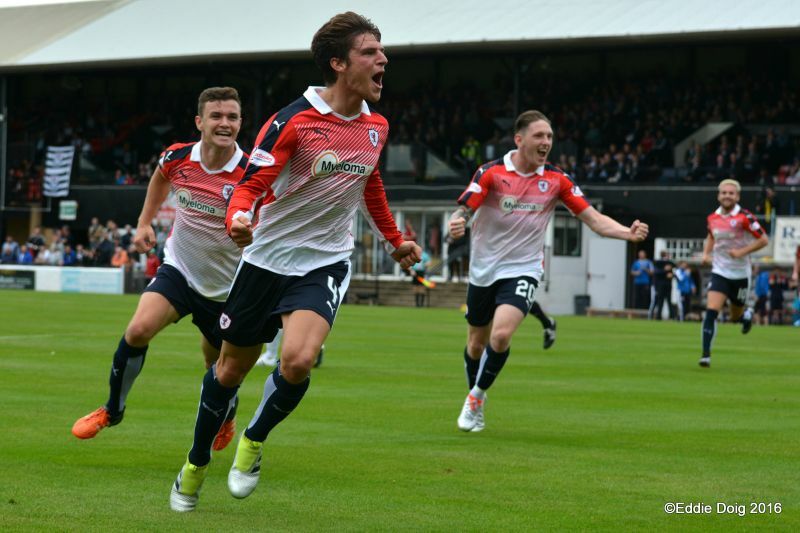 Within five minutes however, Raith were in front. 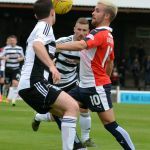 A spell of keep-ball ended with Matthews swinging a cross to the back-post towards Bobby Barr, who in turn dinked a fine cross into the six-yard-box, for Callachan to nod in from close range. 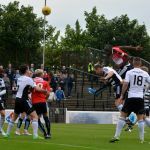 It was a goal that was just about deserved on the balance of play, although Ayr felt they should have had a penalty when Cairney was challenged strongly when jumping for a header. The home side were on the up at this point, and Cuthbert was forced into action with ten minutes of the half left. 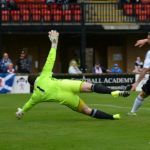 Cairney played a neat one-two with Michael Donald, but with the midfielder clean through on goal, his attempt to slot it home was blocked by the Rovers goalie who’d read the finish and spread himself well. 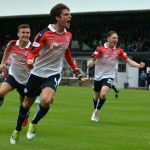 Rovers had barely been seen as an attacking threat since the goal, but they were within a whisker of scoring not just once, but twice after 40 minutes. 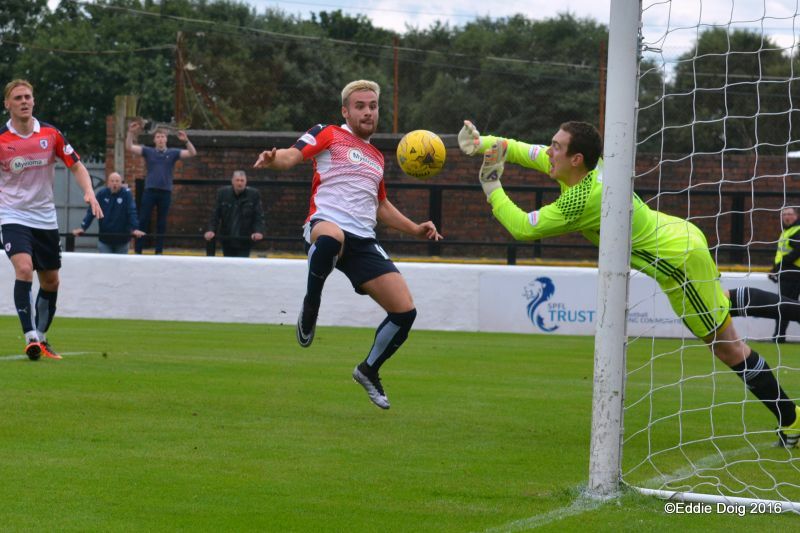 Firstly, Lewis Vaughan played in Declan McManus, whose fierce shot from the edge of the area was repelled by a fine one handed stop from Fleming. 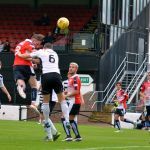 Then, with Callachan picking up the rebound, his cross was turned onto the post by McManus, with Fleming struggling to get across. A second goal would have made matters far more comfortable, but as the teams went in at the break, Rovers were deserving of their slender advantage. 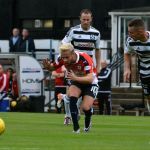 The home side were the first team to try their luck in the second-half, when a fiercely struck shot from Darryl Meggatt was thumped straight at Cuthbert from 30-yards after he was teed up by Cairney, but the Rovers ‘keeper was untroubled. 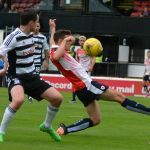 Raith were struggling to get going at this point, although while Ayr were enjoying decent spells of possession and winning free-kicks in dangerous areas, they weren’t creating anything particularly clear-cut, despite having Rovers on the back-foot. 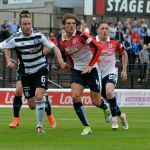 Raith’s midfield of Barr, Thomson, Callachan and Matthews had all won their individual battles in the first half, but they were being forced back by their opposite numbers far more in the second. 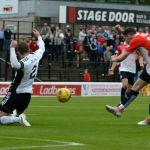 Rovers were keeping them at arms length however, and a quickly taken free-kick saw Vaughan released down the left, and while he only had McManus in the area to aim at, his cross would have found him, if not for the lunging intervention of Peter Murphy. 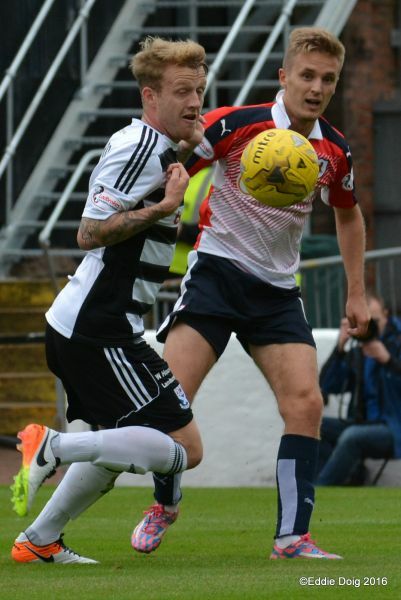 Ayr made the first substitution with half-an-hour remaining, with Craig McGuffie replacing Donald, and he was in action immediately, playing in Forrest who had his shot blocked by M’Voto, but a moment later, the Ayr winger missed a glaring opportunity to bring his side level. Presented with a clear sight at goal from around twelve yards out, his shot from an angle was sclaffed well wide of its intended target. 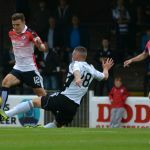 Ayr’s dander was well and truly up, and Boyle was the next to be presented with a chance, after he raced clear down Rovers right, but his shot deflected off Jason Thomson and the promising move was halted. With Rovers up against it, Locke made his first swap, changing Vaughan with Rudi Skacel, and the former Czech international was almost able to open his account within two minutes of coming on. 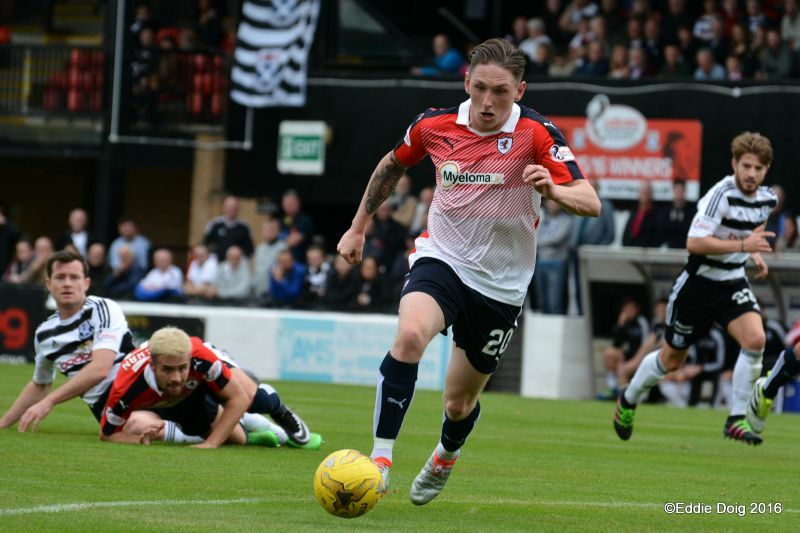 Declan McManus beat the offside trap, before sending a low cross across goal which Fleming misjudged. 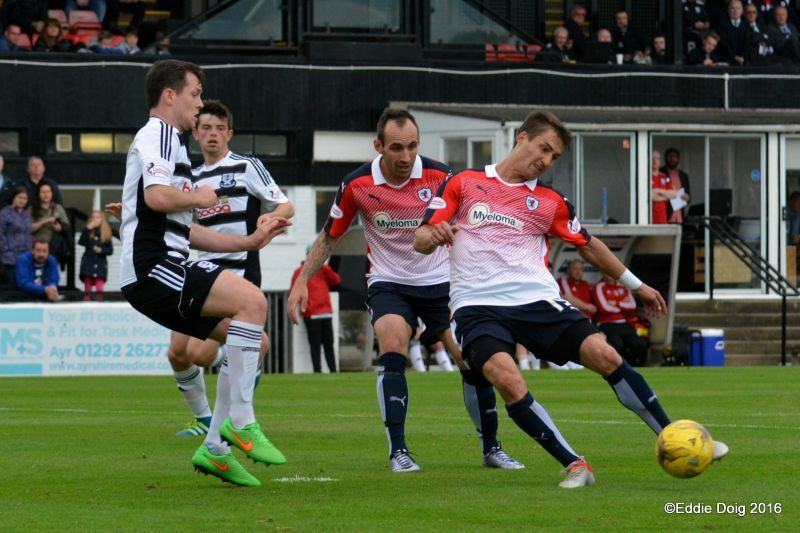 However, with the ball running free and Skacel looking to cash in, Murphy was able to thump it clear. 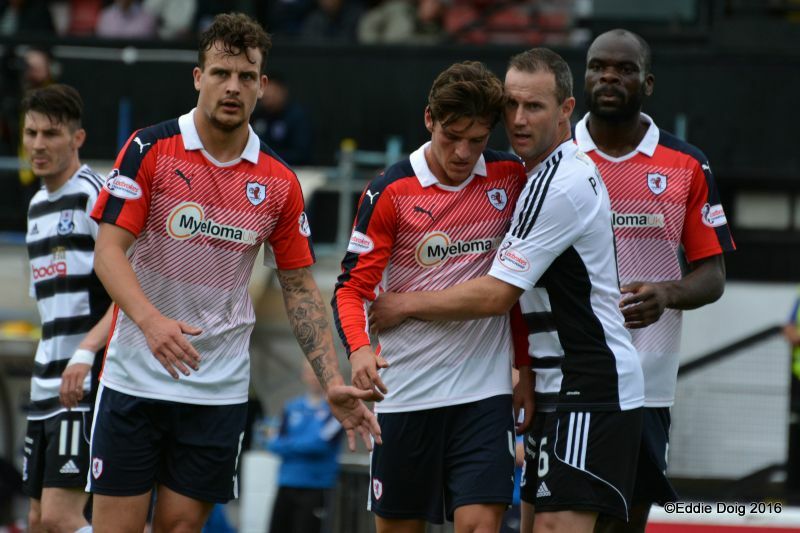 He was involved in the second goal however, which arrived in the 75th minute. 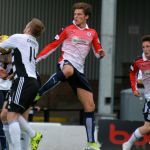 Raith broke away smartly on the counter, with Barr playing in Skacel, whose shot was initially saved well by Fleming, but it fell kindly to Matthews who calmly steered it home from ten-yards. 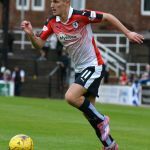 With ten minutes left, Mark Stewart replaced McManus, although the Ayr announcer had clearly been duped by the team-sheet, as he announced the entrant as Mark Seguali. Shortly after, Barr made way for Scott Roberts. 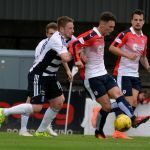 It was almost three in the closing stages, when Callachan broke up play in the middle of the park and found McHattie who’d hared down the outside. 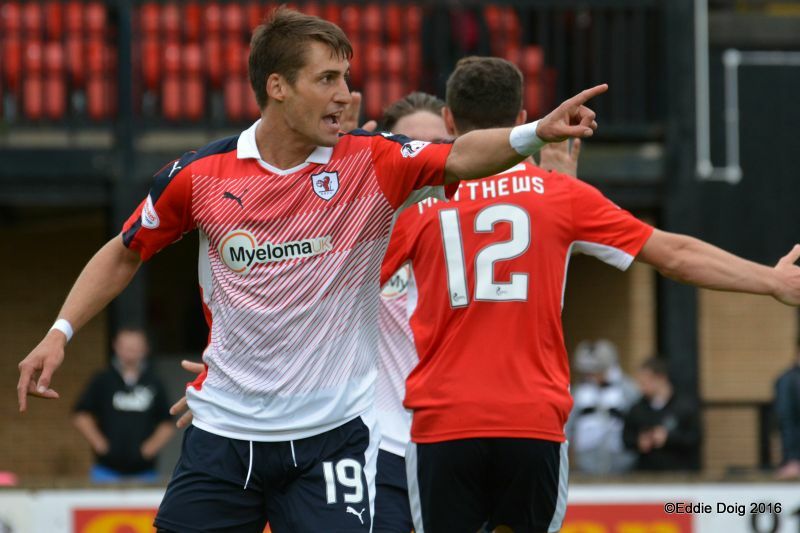 His cross picked out Skacel in the middle, but his first-time shot slipped just the wrong side of the post. 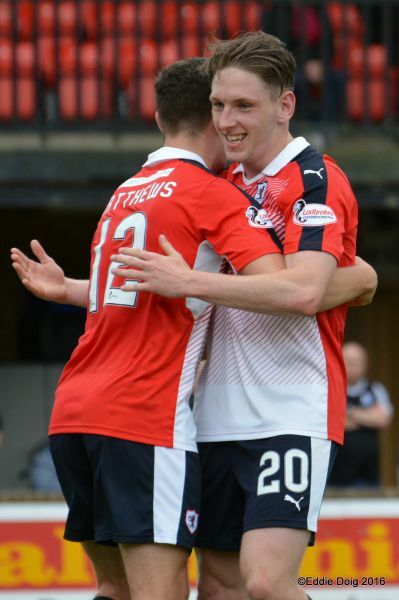 The 2-0 win, combined with results elsewhere, sees Raith top the embryonic Championship table, and they’ll be aiming to remain there next week, when St. Mirren are the visitors to Stark’s Park. Welcome to the old lady that's Somerset Park, it's 21 degrees and cloudy. 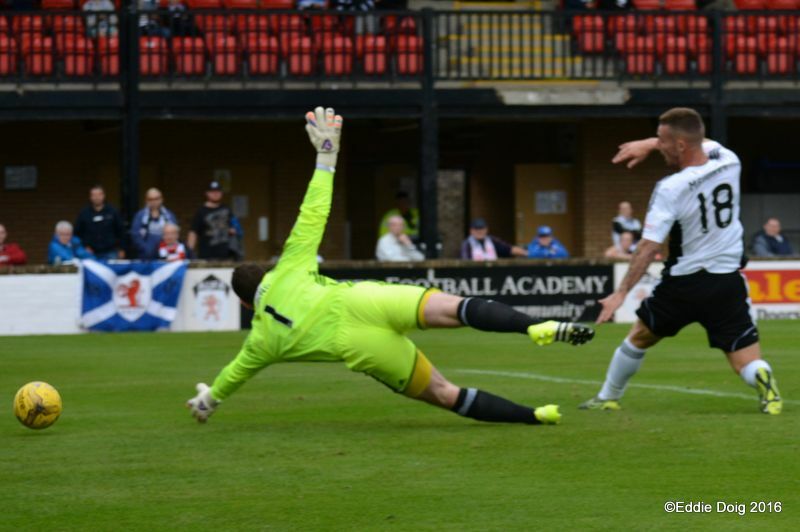 Ayr kick of towards the North Stand. 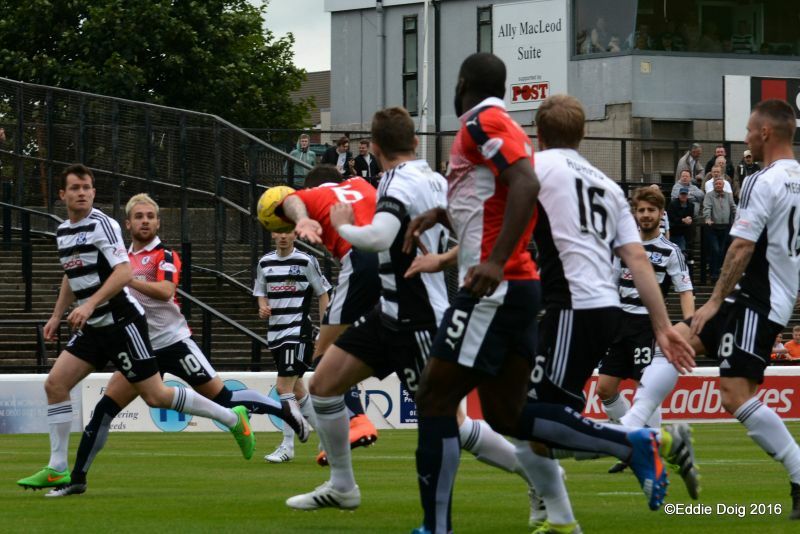 Free kick taken by McHattie into Benedictus whose soft header falls tp Fleming. 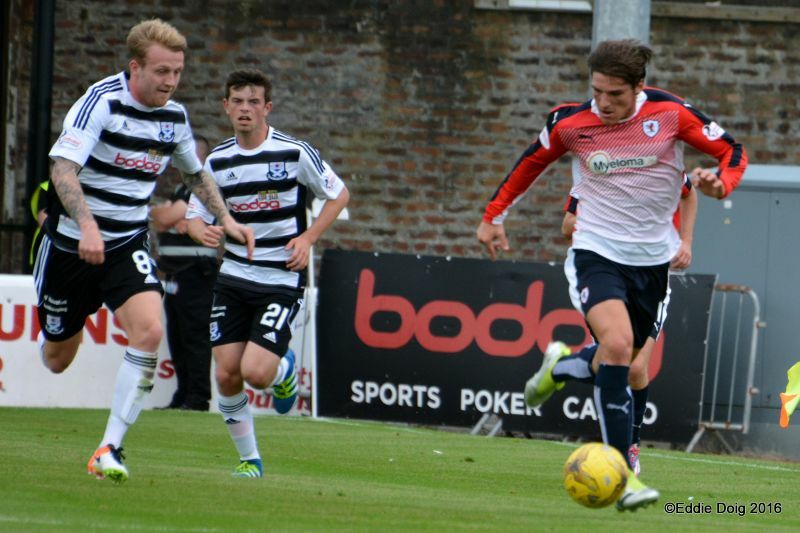 Forrest whips in a shot from 20 yards which just goes past the back post. 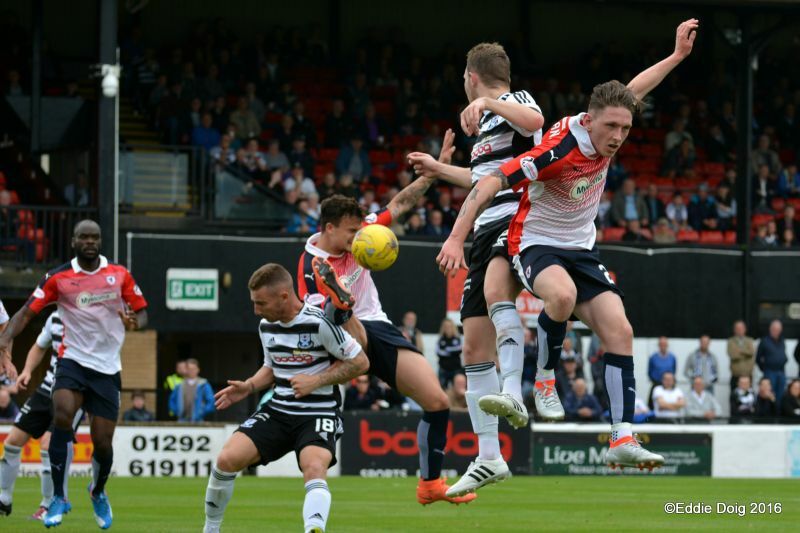 Disarray in the Ayr box, corner to Rovers. Head tennis in the Rovers box, Cuthbert comes out to claim the ball and calm things down. 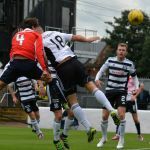 Barr then Vaughan have shots deflected from the Ayr 6 yard area. Vaughan ghosts past Meggatt and wins a corner. 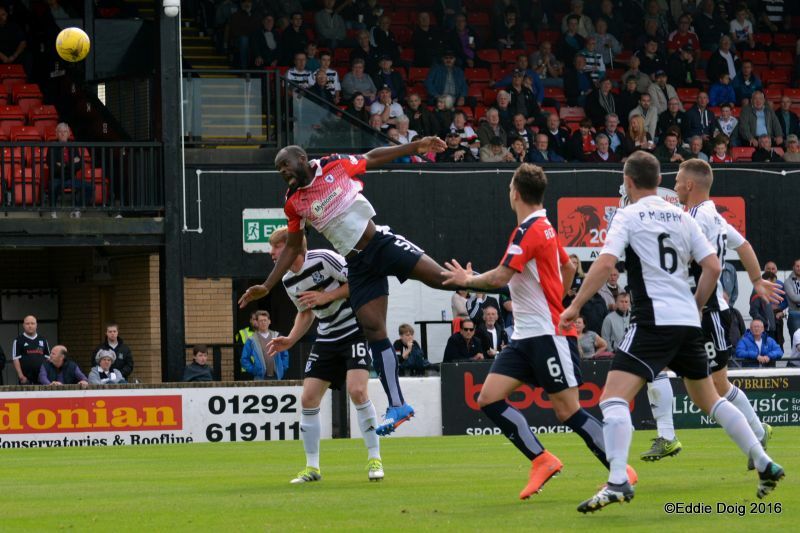 Jean-Yves leaps way above the defence and heads just over the bar. 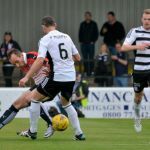 Callachan heads behind to clear a cross from Meggatt. Ian McCall getting animated in his area. 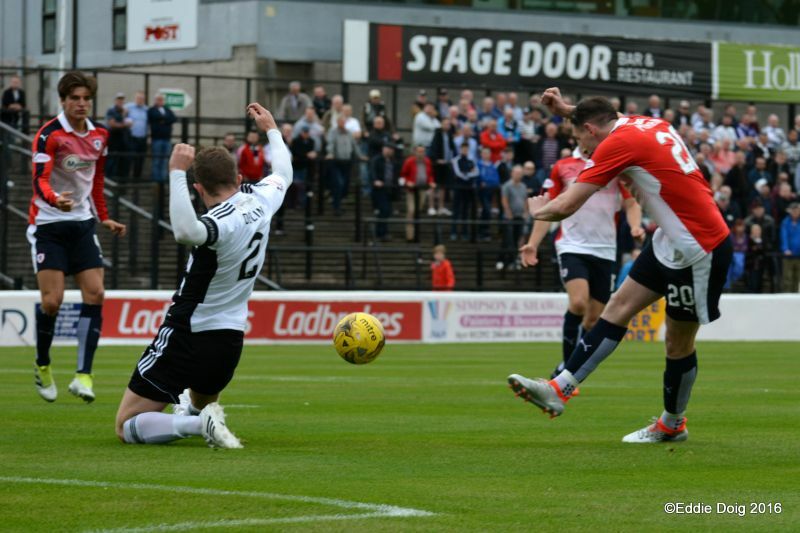 Cairney and McHattie clash heads, the former has a header saved by Cuthbert. 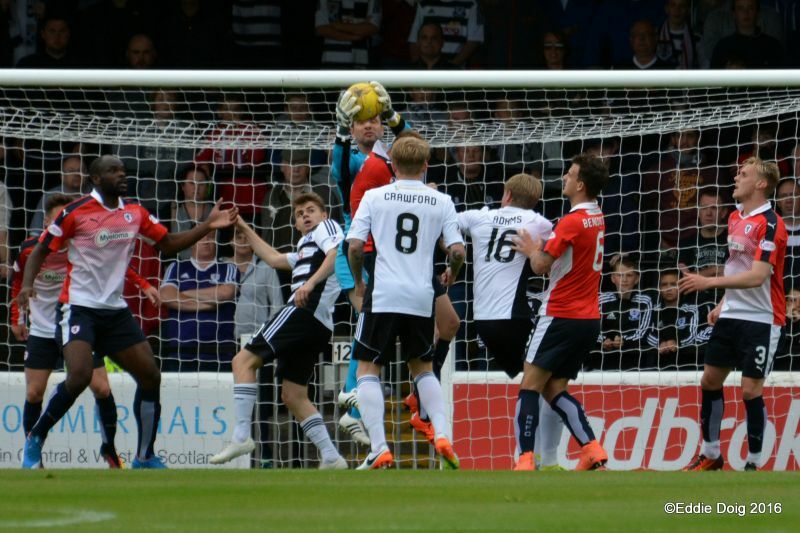 Ayr employing the long throw, Jean-Yves didn't even have to jump to head clear. 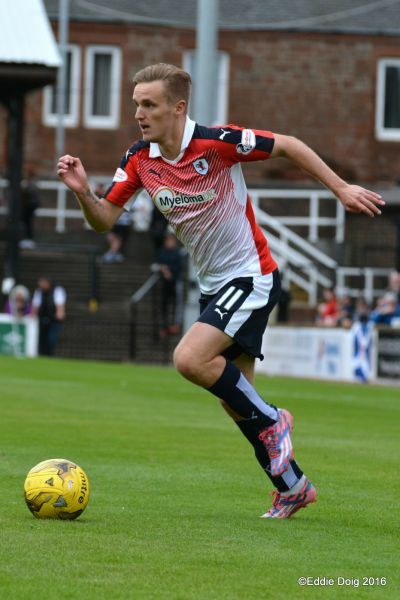 Loan player Thomson is looking skillful. Barr twisted and turns in the box, fires the ball into Callachan who heads home from 6 yards. GOAL ROVERS. 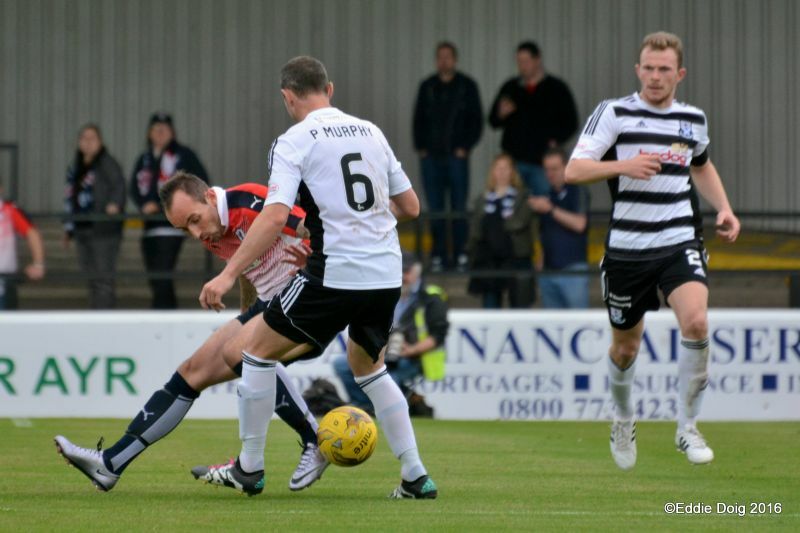 Ayr survive a shout for a penalty as Vaughan goes to ground, Matthews hits the ball wide at the back post. Adams hooks the ball over the bar and is injured in the process. 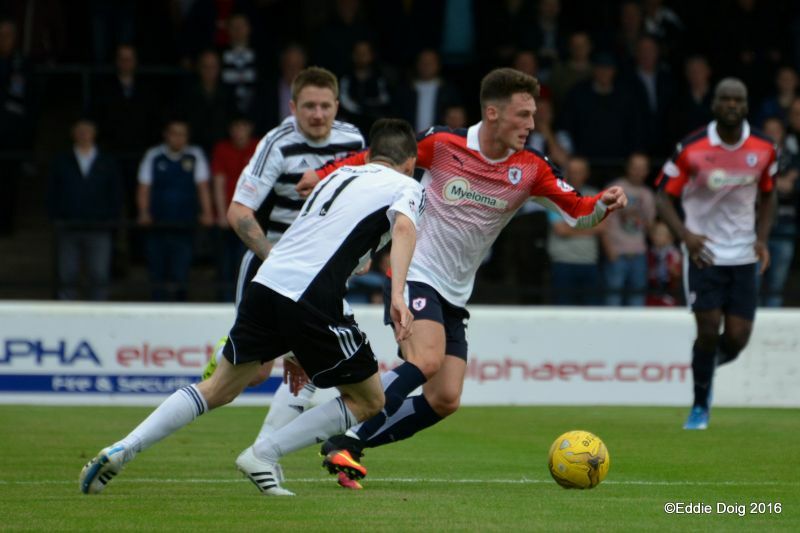 McManus cleared off the line from a corner. 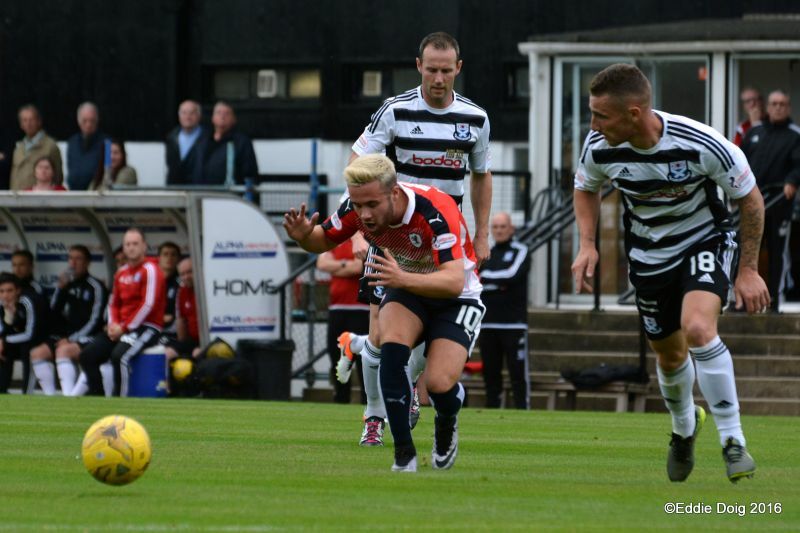 Mr Anderson has a word with Ian McCall as he felt that Ayr were denied a penalty. Vaughan and Barr combined, the latter shot wide of the back post. Donald and Cairney 1-2 Cuthbert saves with his feet from Cairney's delivery. Cuthbert with a long clearance find Vaughan whose shot is deflected for a corner. Vaughan again, this time his shot is over the bar, and also offside. 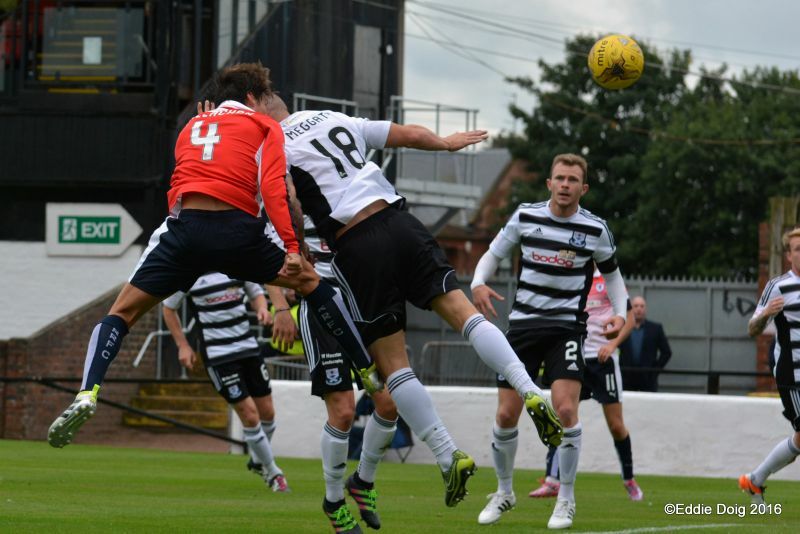 Vaughan to McManus sees his shot blocked, the ball comes back to him and he heads off the post. There are no half time substitutions. Lennox is going through a warm up. 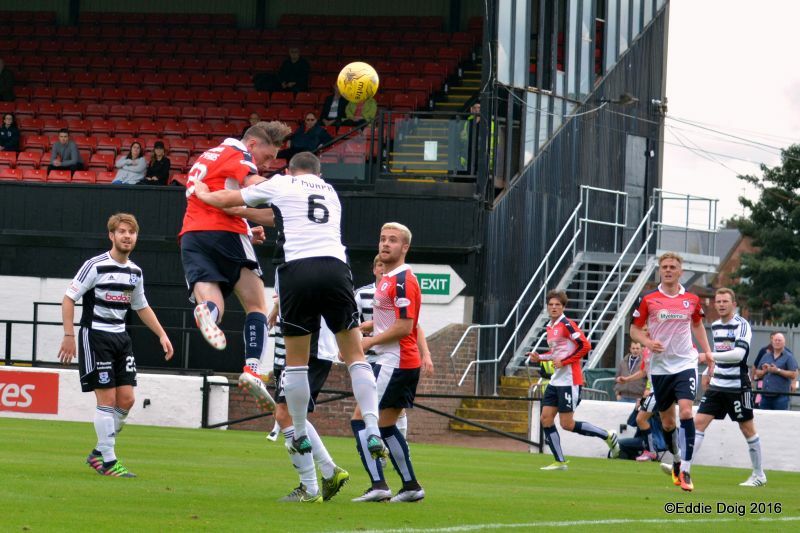 M'Voto heads wide from McHattie's free kick. 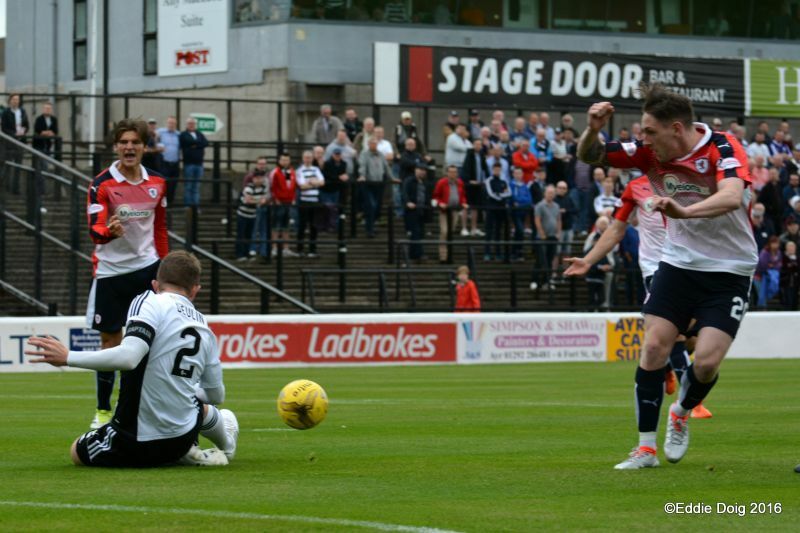 Cairney and Forrest work a free kick, the latter hits a low shot which Cuthbert gathered. Rovers win a second corner, Jean-Yves with a decent header sees it deflected. 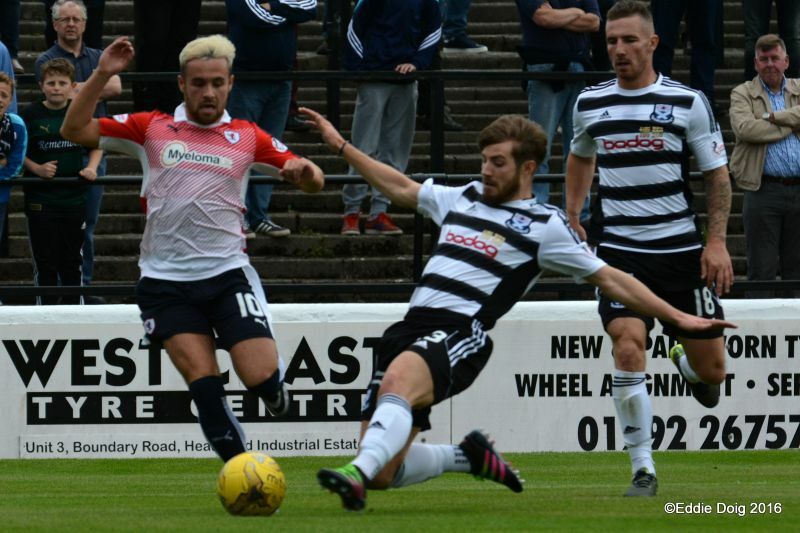 Zoot alors, Jean-Yves going on a run is relieved of the ball and Ayr clear. McManus beats two players on a 20 yard run his cross into the box is blocked by Murphy. 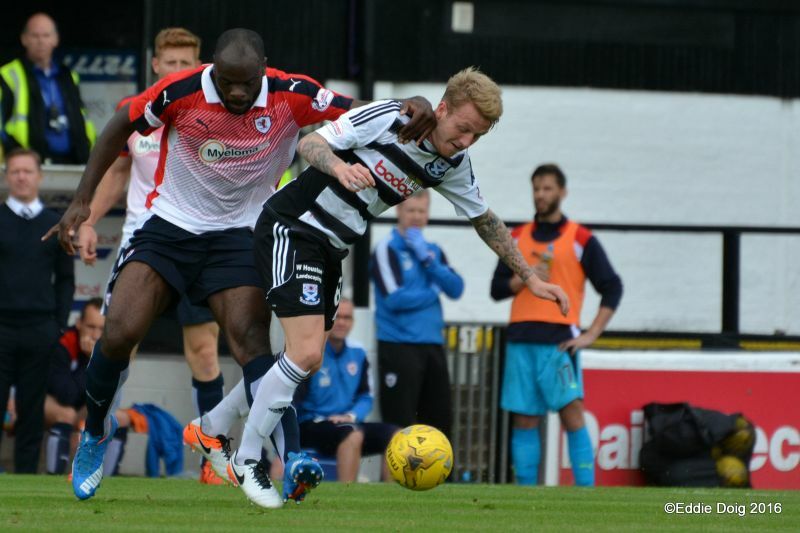 Ayr struggling to keep onside with their recent forays. Forrest watches his shot go wide to the corner flag. 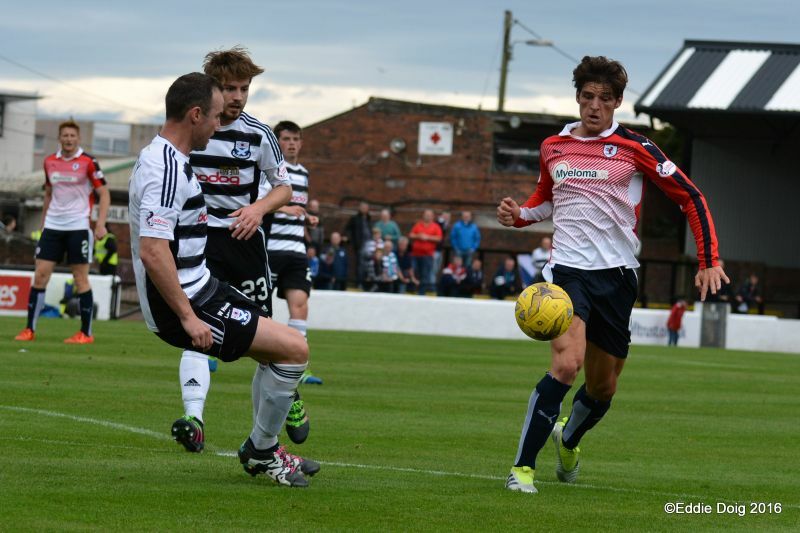 Boyle latches on to a loose ball, his shot deflected to Cuthbert by Thomson. Crawford and Devlin working well, the latter's shot was tired and drifted out of play. 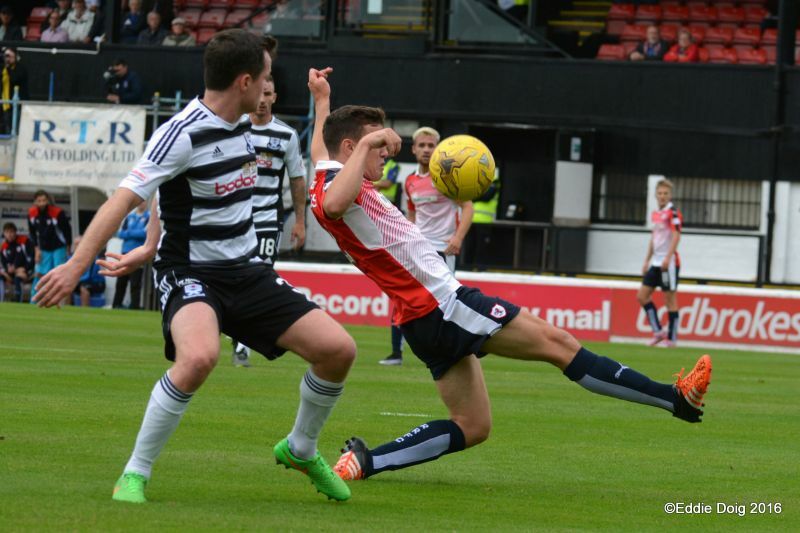 Rudi getting involved early, a ball into McManus is tipped wide by Fleming. 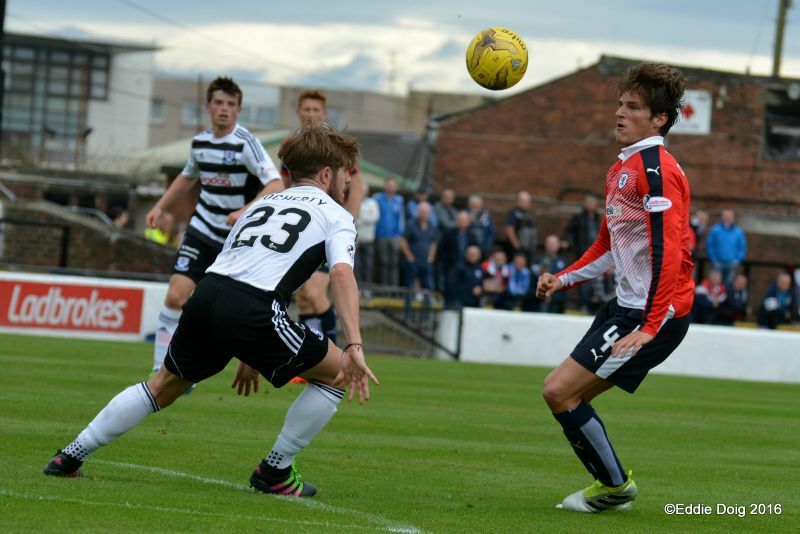 McManus shoots low, Fleming spills the ball but Skacel was too far away to pounce. 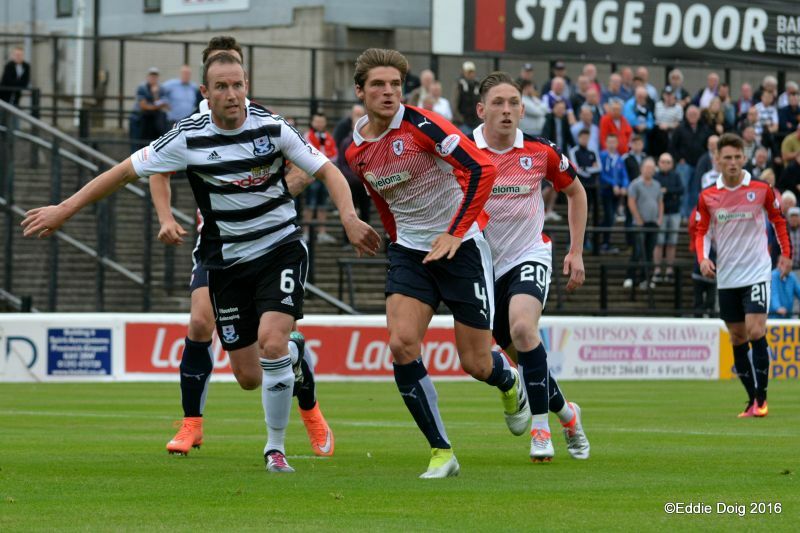 Jean-Yves goes all Strictly with McGuffie as he finally clears the ball. 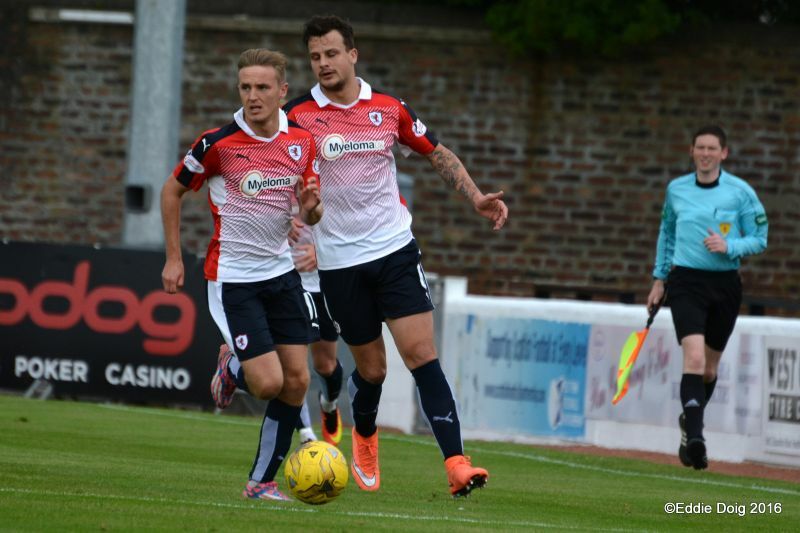 McHattie into Skacel whose shot from 12 yards was deflected, Matthews slotted home from 10 yards. Murphy yellow for a foul. 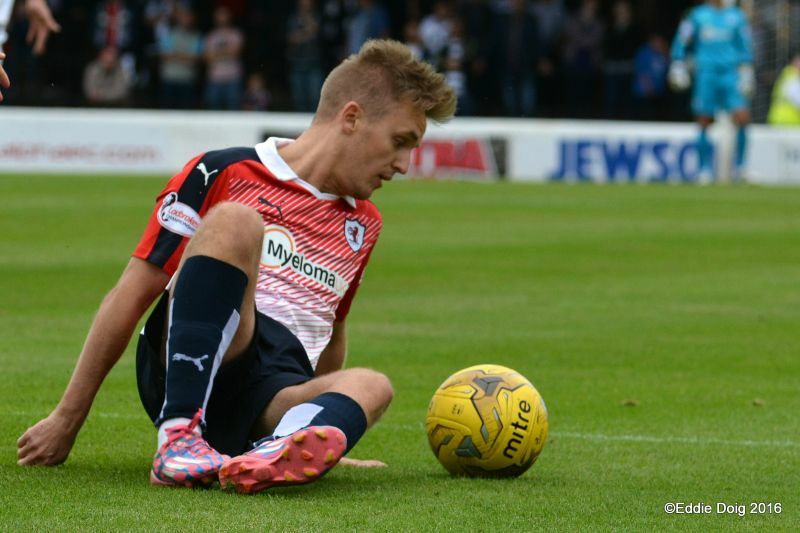 Ayr trying the long ball to no avail. 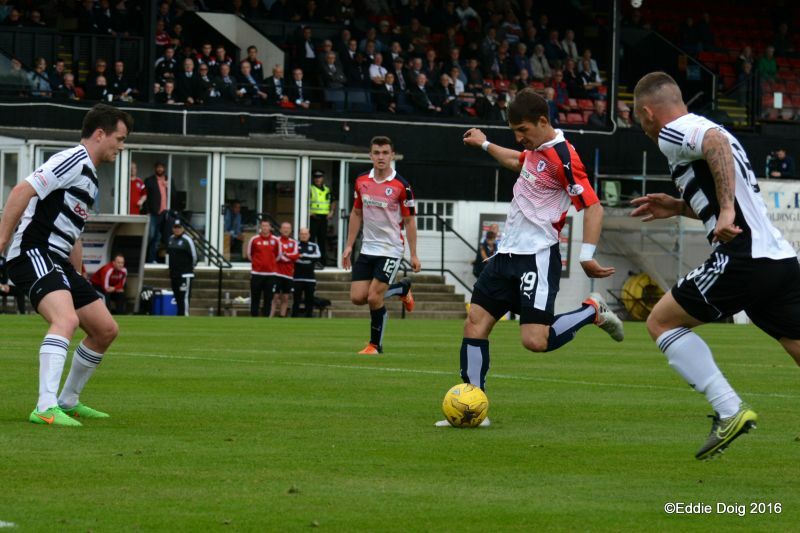 Cairney with a delightful ball to Devlin watched as he tapped the ball out of play. 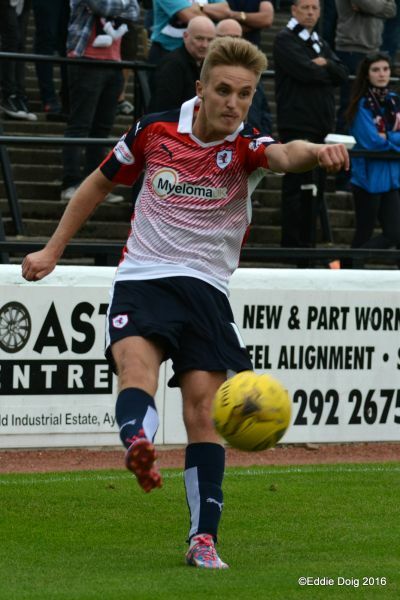 Docherty fires well wide from 30 yards. 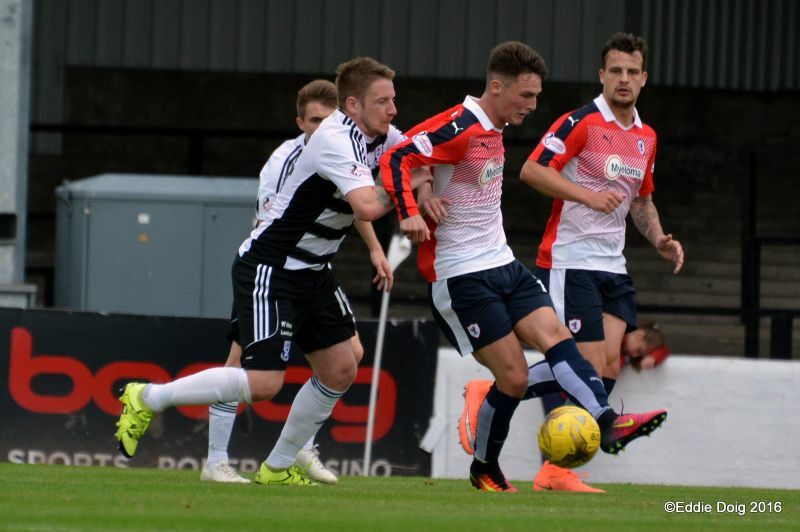 Callachan to McHattie who crosses to Skacel his shot going just past the near post. 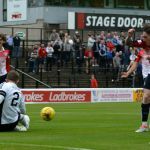 On another day Ayr could have had a couple of goals, but then Rovers could have had another 3 or 4. Fleming, Devlin, Boyle, Murphy, Crawford, Meggatt, Docherty, Forrest, Cairney, Adams, Donald. Thomas, Rose, Wardrope, McCracken, McGuffie, O'Connell. 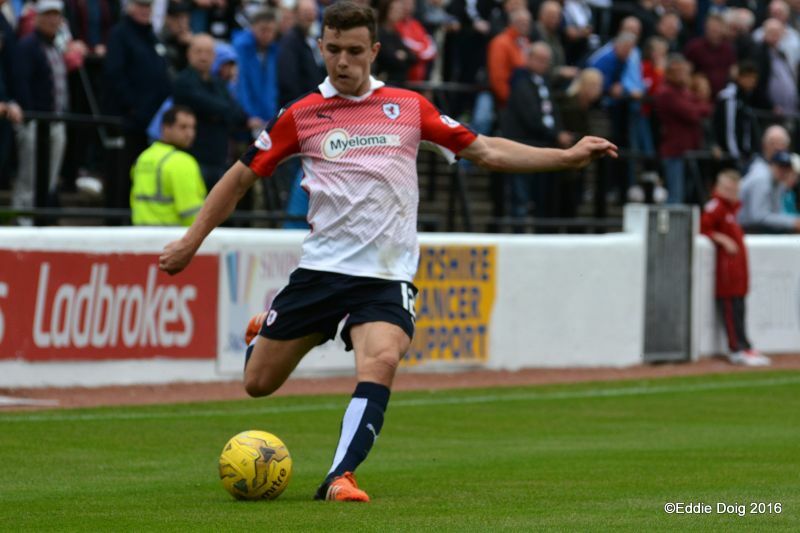 Cuthbert, Jason Thomson, M'Voto, Benedictus, McHattie, Jordan Thomson , Callachan, Matthews, Barr, Vaughan, McManus. Lennox, Johnston, Osei, Coustrain, Roberts, Skacel, Stewart. 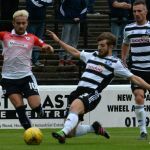 Raith Rovers will aim to put the disappointment of their League Cup elimination to one side this Saturday, when they travel to Somerset Park to face newly promoted Ayr United, in the opening match of their Championship campaign. 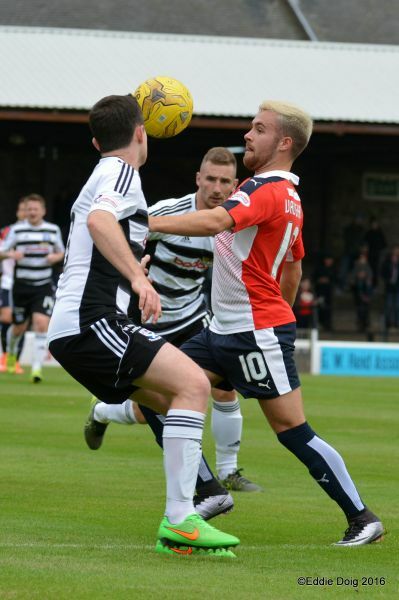 It’s shaping up to be an intriguing contest, with Gary Locke’s new-look squad, coming up against an Ayr side who have impressed to date, after successfully navigating a League Cup group which contained Hamilton Academicals, Edinburgh City, Livingston and St. Mirren. 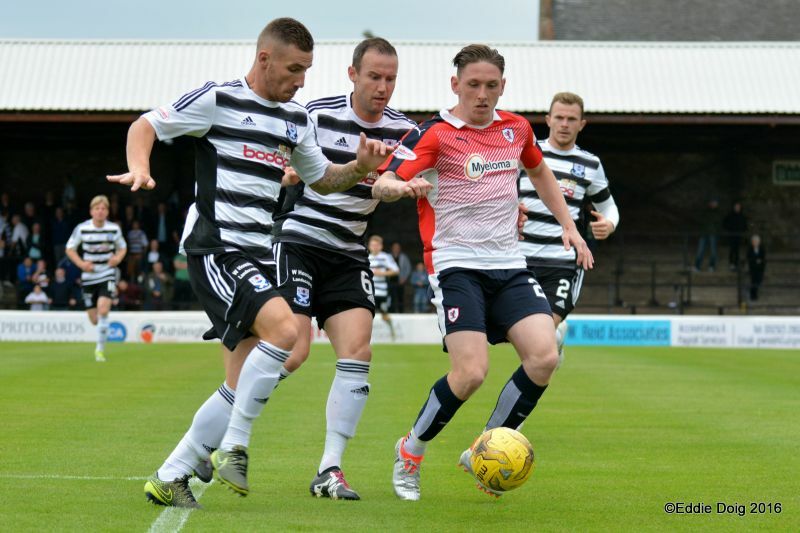 Last season saw the Honest Men gain promotion to the second-tier via the play-offs, but for a while they ran eventual champions Dunfermline Athletic close, leading the table until November, before eventually finishing as runner-up. 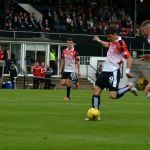 Their penalty win over Stranraer saw Ian McCall’s team elevated to this level for the first time since 2012, and with some new faces added to an already talented squad, Ayr will hoping to once again establish themselves in the upper echelons. 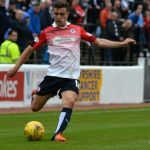 Defender, Darryl Meggat has been signed after a spell with Dundee, while Stranraer midfielder Paul Cairney has been added to an already impressive looking central area. 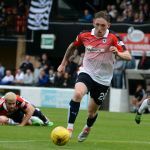 Up-front, Craig Moore has been acquired on-loan from Motherwell, and he could partner another loanee in Jamie Thomas, after the youngster was signed from Burnley. The two teams met on the inaugural day of the 2008/09 season, with the match ending in a 0-0 draw. 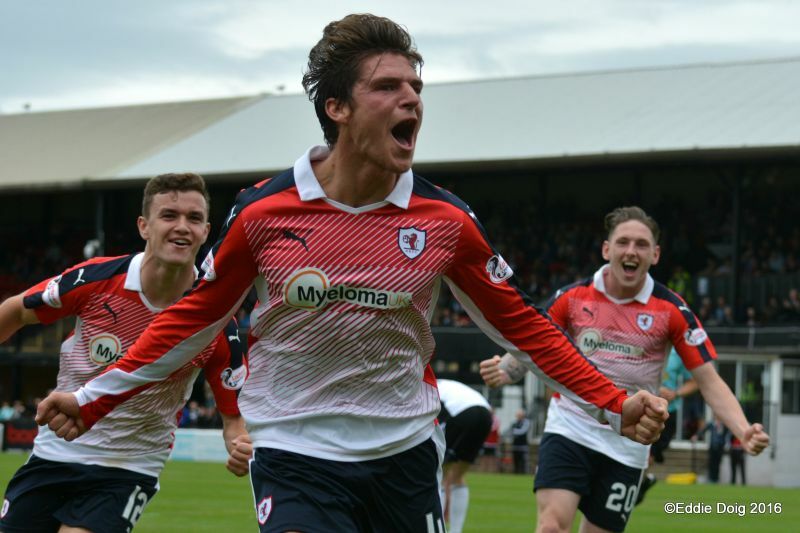 While that fixture may not have been a classic, the rest of the season certainly was, with John McGlynn’s men just pipping Ayr to the title, after winning nine of their last 11 fixtures. 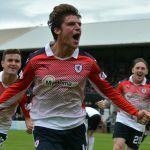 Raith have a fine recent tradition of starting seasons seasons strongly, losing just two of their last ten opening day fixturesHowever, If Raith are to leave Ayrshire with all three points, then they’ll have to overturn some poor form against a team whom they’ve only managed to defaet once in their last ten meetings, a 2-0 win at the same venue back in 2010.